Good news for tired commuters between London and Scotland!! 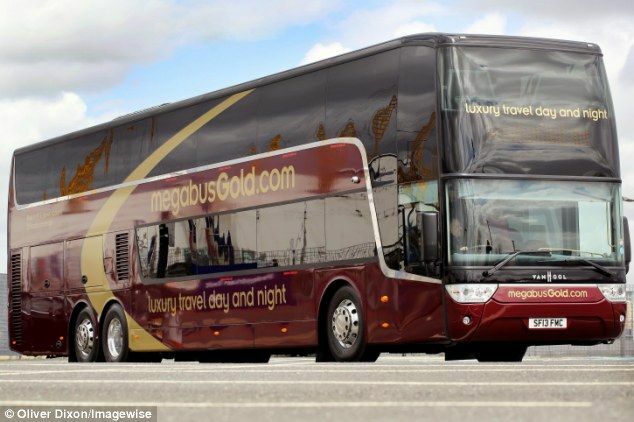 Now you can 'sleep' while you travel in the mega-bus from London to Scotland for just £15. The service will begin later in the coming summers. These Budget buses will link London with eleven major Scottish cities for as little as £15 per ticket, ferrying passengers to Glasgow or Edinburgh in less than eight hours. Ticket holders can unfold their seats into bunk beds and as well as being provided with a toothbrush, coach company Mega-bus offers up a complimentary onesie to snuggle up in during the journey.